Rolling Thunder's Blueberry Wine s sired by Patagonia’s Quijote, and grandsired by the infamous Danko..one of the top grey lineages of all time. 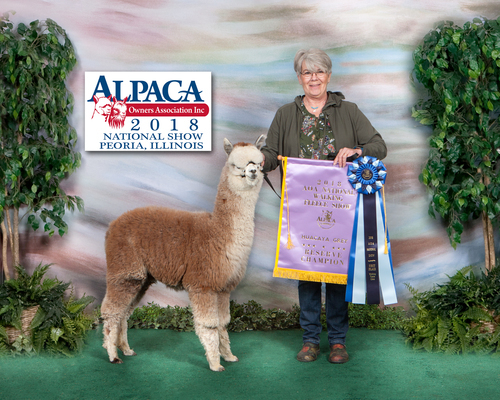 Quijote is owned by Canzelle Alpacas in California, and one of the things we treasure about this girl is her genetics that are far from the “same old Midwestern genetics”. 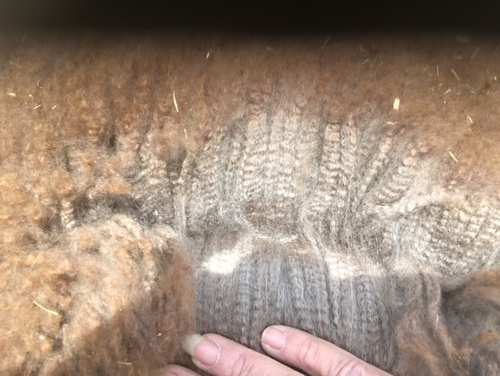 A proven DSG dam with a champion full sibling, she has great stature, soft fleece and a great producer. 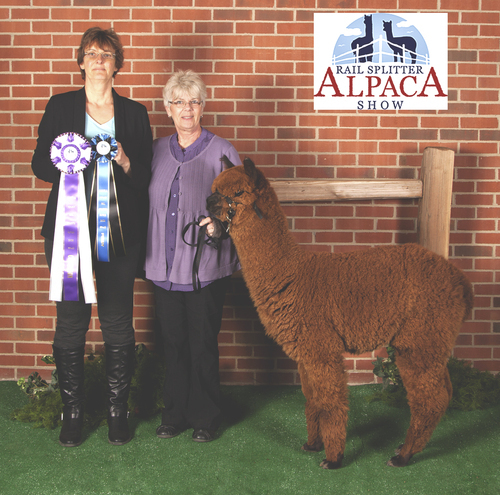 UPDATE - 3/18/2018: Wine just gave birth to a gorgeous true Black Male from A PACA FUN'S MACH 4!!! He is stunning and we can't wait to watch him grow. Pictures soon. 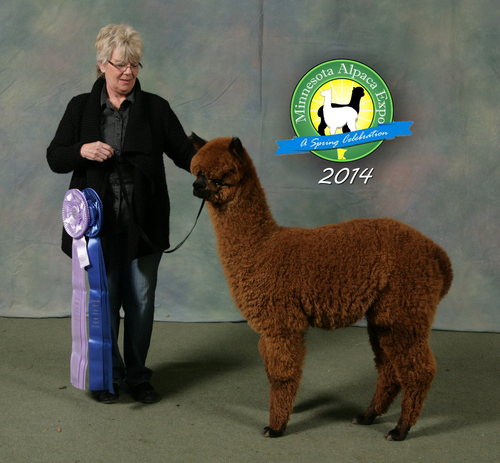 At AOA Nationals 2014 he took a 1st Place out of a class of 9 dark brown juvenile males. 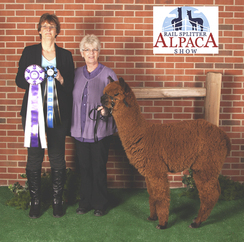 Judge Diana Timmerman comments, "He has a super fine fleece, it has incredible brightness and is very well nourished. 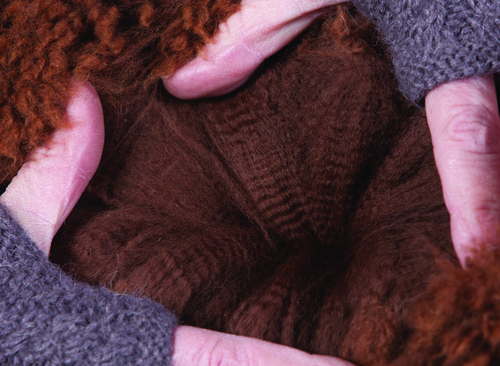 It shows excellent architecture throughout and the character extends the length of the staple, it is also evident all the way through and all those characteristics give him great density."